The cosmetic display stands for Hanhoo cosmetics project are completed. Hanhoo cosmetics is a famous Chinese cosmetics brand. It's one of the most popular brands among young consumers in China. 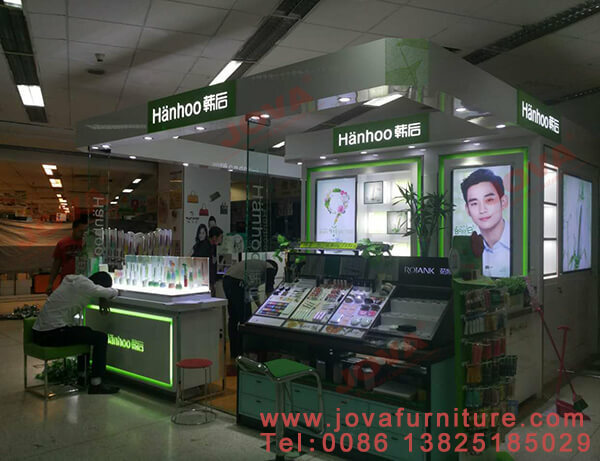 We, JOVA DISPLAY FURNITURE, make the shop furniture for Hanhoo cosmetics chain stores. 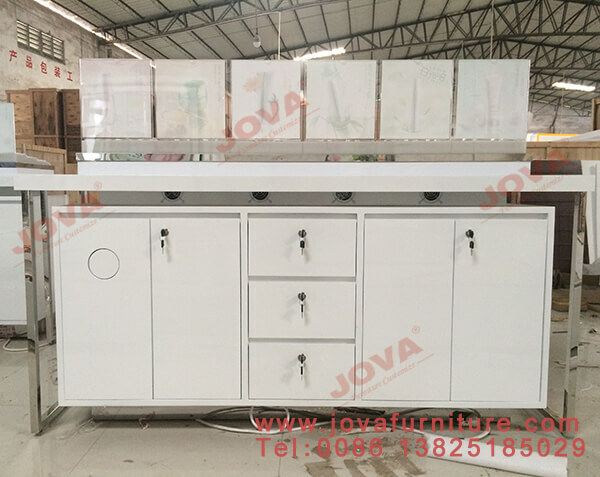 The cosmetic store furniture main color are white and green. 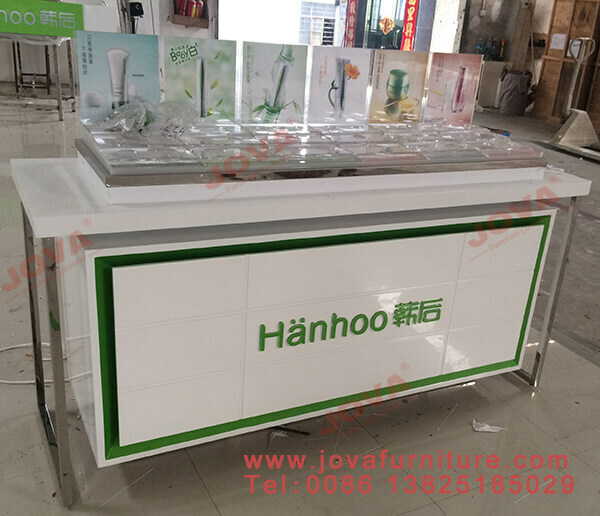 this cosmetic display cabinet is usding to display skin care products, the table top acrylic displays are transparent color, and this holes size are customized to fit the product size. the black with locks. 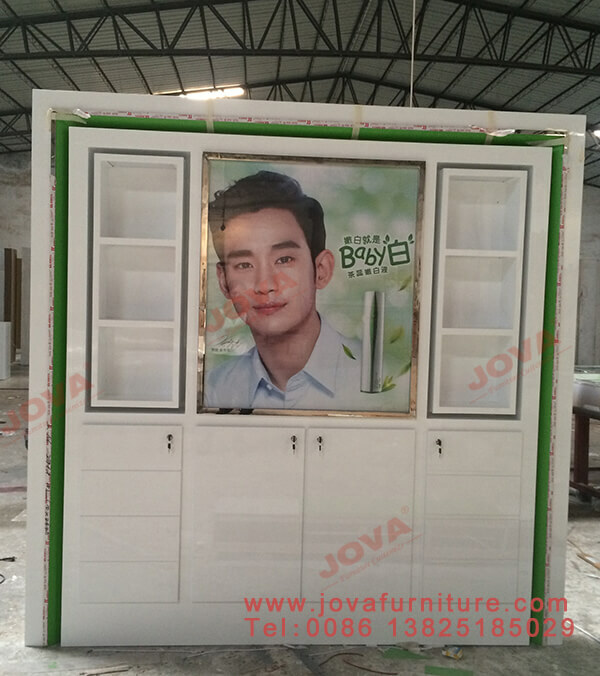 The cosmetic wall display also are made by MDF , in the middle with light box.